Wall Paint Colors for Nursery - The painting is perfect to give a room a makeover for a new baby. 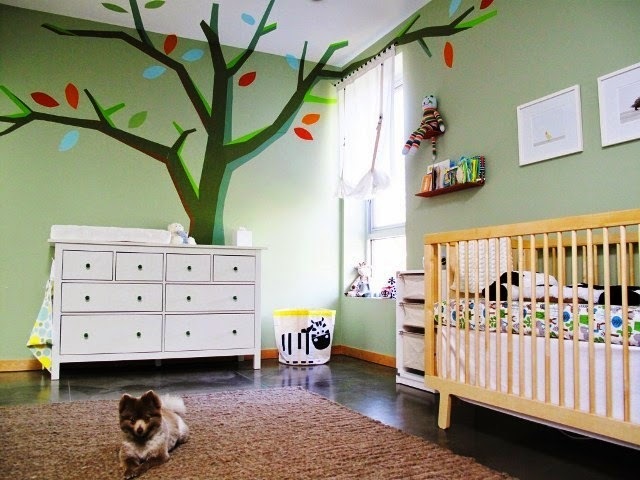 One advantage of using paint to create your look chosen for the nursery is that it can be changed easily and economically. Not only babies grow remarkably fast, but also you and the baby can feel like a change after some time. 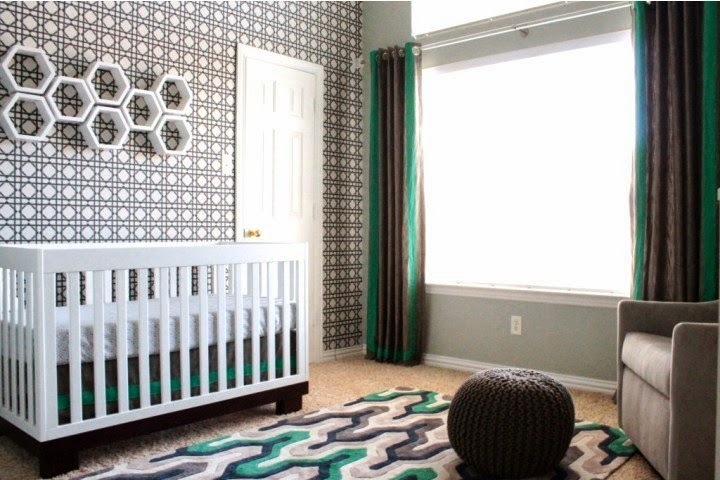 The look of your nursery depends heavily on your color palette. One way to choose your plan is to take your cue from the furniture. 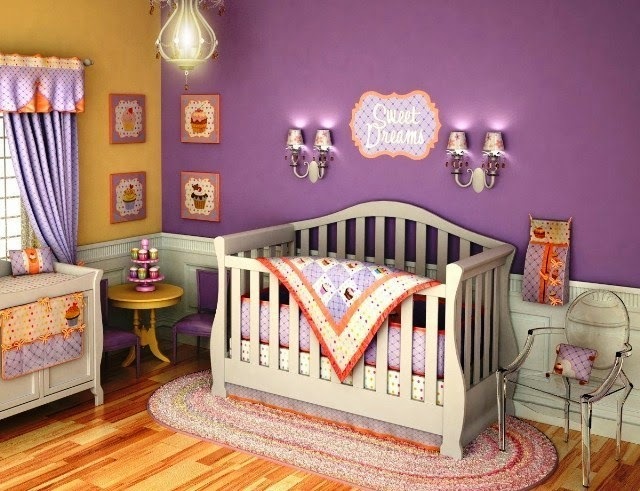 If you have an antique-style bed and furniture recalls the traditional nursery, you can go for fresh, pastel colors - white, pale pink, blue and yellow. A special quilt for the crib, a photo or even a mobile can give your ideas for a color scheme. If your furniture is modern, you could opt for cheerful primary colors. Old furniture and bright colors can also go well together. The colors you choose are probably more important to you than the baby is. However, babies have certain preferences. Detail is lost on babies, so a high and big, bold contrast, simple shapes are more likely to engage their attention. Even in black and white would serve the purpose. Your baby will get lots of visual stimulation elsewhere and will probably spend most of his time asleep in the nursery, so do not take too seriously. Borders and murals are the best ways to create a visual focus in a nursery. Stencil is a perfect way to create decorations. Wide ranges of designs are available to suit any theme. Today stencils are reusable and many can be custom size. As well as borders, stenciling can also be used as wall decorations instead of photos. You can repeat the pattern on the furniture to create a coordinated look. It is never too early to learn and stencils are useful to decorate a room with friezes of the alphabet or numbers. In an uncarpeted room, you can brighten even the floors. For ambitious, murals can be wonderfully effective. A wall display of a fairytale scene can look fabulous, if you have the skills to pull it off. Instead of hard to remove stickers or transfers, even beginners artists can reproduce cartoon characters in the painting as wall decorations. A faux stained glass effect can be created with special paint applied to glass windows. 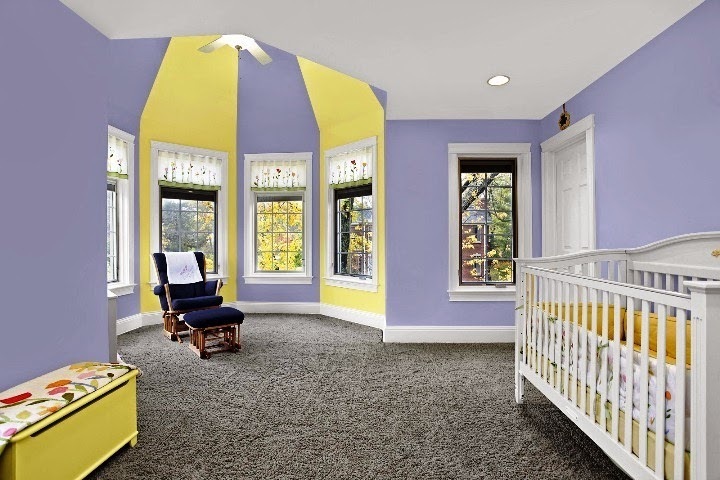 With the sun illuminate your design, it can be a smart way to use paint to create visual interest and will surely attract the attention of your baby. 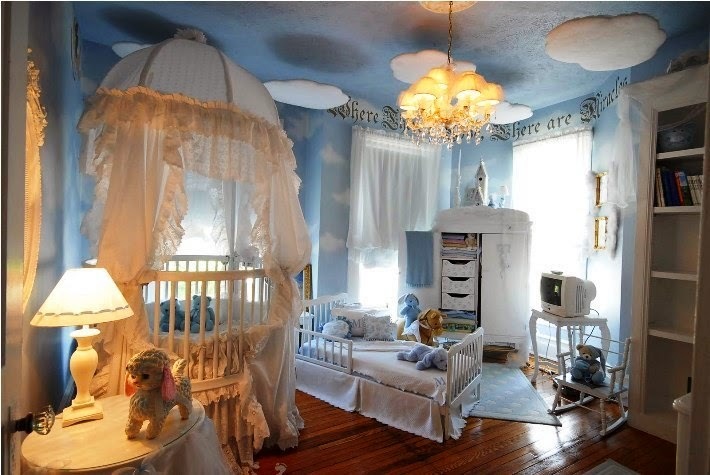 Because a nursery is a bedroom, it should not be too bright and lively. Walls, curtains and furniture featuring all images and colors can be too. 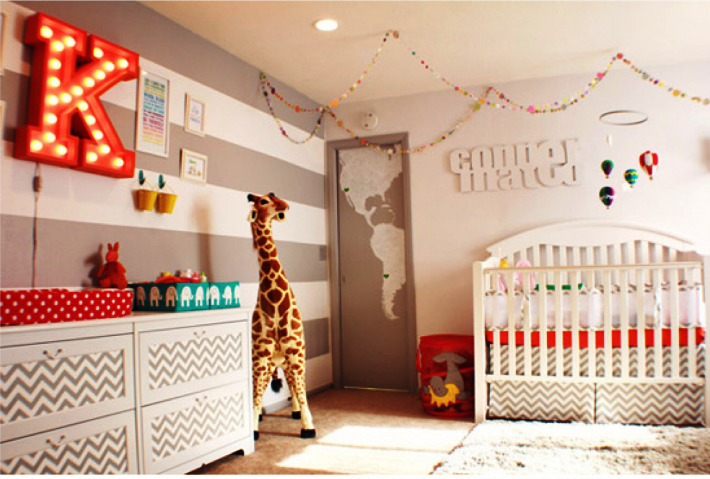 Wall Paint Colors for Nursery - If you do not want to redecorate, consider using paint mainly to add attractive touches. Leaving the simple walls, but painting other features, such as door panels, curtains and picture frames and mirrors, can create a Friend environmental babies with little effort. This may seem obvious, but make sure you use paints are non-toxic.